The Memphis Classic Chevy Club was originally founded for enthusiasts of "Tri-Five" Chevys in 1976. Eventually, the club expanded it's scope to include Chevrolets manufactured through model year 1972. Today, the club is open to any and all automotive enthusiasts who share an interest in preserving these classic Chevrolets whether they be modified or original. Ownership of a classic Chevy is not a prerequisite, but enthusiasm is. We are a chapter club of Classic Chevy International, and the Late Great Chevrolet Association. 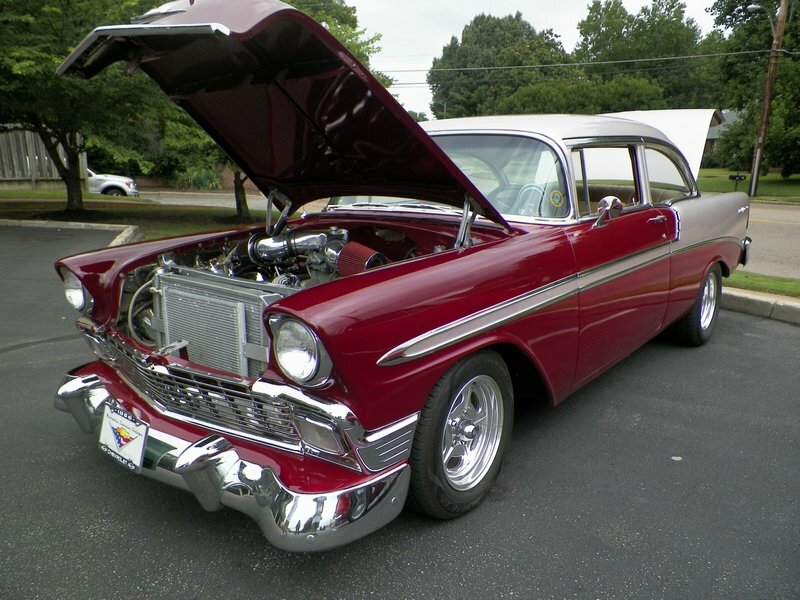 In 2005 the Late Great Chevys of Memphis merged with the Memphis Classic Chevys and created a diverse group of Chevrolet enthusiasts that share a common interest in these timeless classics. Our activities are geared toward having fun with our cars, and include an annual â€œFun Runâ€�, and a fund raising effort to benefit a local charitable organization. Meetings are held on the 3rd Monday of each month (except December) at 7:00 pm at Brunswick Kitchen located at 5197 Brunswick Rd in Arlignton TN. Please feel free to contact us and exchange information regarding car clubs and events. Weâ€™d like to hear from you! of the club beginnings. You won't be disappointed!